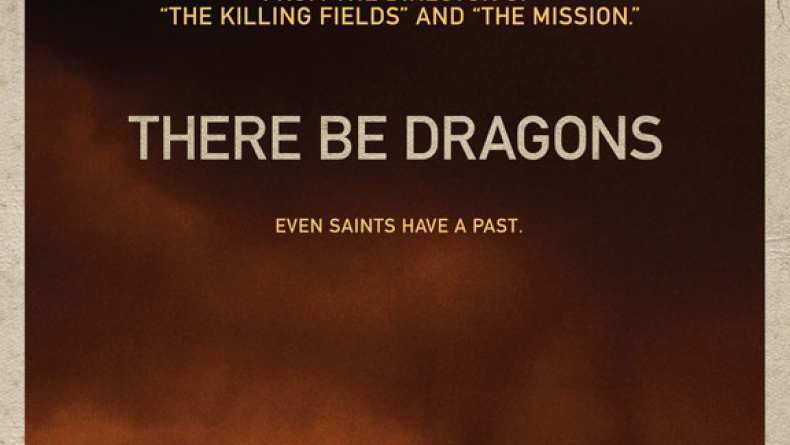 There Be Dragons is an epic action-adventure-romance set during the turmoil of the Spanish Civil War. The film is written and directed by Roland Joffe, acclaimed director of The Mission, and features a stellar cast of young actors --Carlie Cox (Stardust), Wes Bentley (American Beauty), Rodrigo Santoro (300), and Olga Kurylenko (Quantum of Solace). The story traces the lives of two young men, Josemaria Escriva (Cox) and Manolo Torres, childhood friends who are separated by the political upheaval of pre-war Spain to find themselves on opposite sides as war erupts. Choosing peace, Josemaria becomes a priest and struggles to spread reconciliation by founding the movement “Opus Dei” (work of God.). Manolo chooses war and becomes a spy for the fascists. Manolo commits heinous acts that will torment him until the end of his life. Only on Manolo’s deathbed will Josemaria’s message of forgiveness finally have a profound impact on him and on his estranged son, who comes to learn the truth of his father’s dark past.